Tasty Tuesday. American Smoke Wagon BBQ Rocks It!! Lush greens attracted our curiosity when we drove highway 85, south of Watford City, in western North Dakota. We decided to hike! When it’s 90 degrees and you’ve been hiking the green, lush badlands and grasslands of western North Dakota you get thirsty. And hungry! What you intend to be an hour walk can easily become a three or four hour hike. Time goes by quickly when you encounter the beautiful, never ending vistas of the badlands. And details! It’s only when you get out and hike that you see all the small components which make this terrain irresistible to a curious mind and adventurous spirit. At a distance the grasslands at the Summit Campground area seemed only lush green, but when we, literally, took a hike, we saw so much more than green! The purple of echinacea and wild bergamot was vibrant! A sign along Highway 85 north of Grassy Butte peaked our curiosity! Summit? Summit of what? American Smoke Wagon BBQ To The Rescue! That was our experience when we spent time in the Summit Campground area of the Little Missouri National Grasslands north of Grassy Butte, North Dakota and not far south of the Little Missouri River near Watford City. Our walk turned into a hike of over three hours. (Note that Summit Trail is officially closed due to severe erosion, but a walk through the grasslands provides great views!) Though we were well equipped with drinking water, we hadn’t stocked up on food before we left on our day’s adventure. Now, we were hungry! We were also, to put it bluntly, sweaty and dirty! Where nearby could we find simple but good tasting nourishment in surroundings which were cool and did not require us to change clothes and freshen up extensively? Because, let’s face it. We were on a whirlwind one day road trip to see what we could see, to find green in the badlands. We hadn’t packed a wardrobe change, let alone planned for bathing or taking a shower. There was little discussion about the direction to head. Watford City was the closest town with dining options (and lots of them!). So north we headed. Within twenty minutes we had a plethora of choices. One stood out immediately that matched our requirements, and more. Enter American Smoke Wagon BBQ! Here we knew we’d find good food, and ample choices. After all, we had a bit of experience with this eating establishment! We had chosen American Smoke Wagon BBQ as the source of food for our outdoor wedding at the North Unit of Theodore Roosevelt National Park the previous year. The BBQ and fixings was a big hit with our guests, and we appreciated the easy accessibility, the reasonable cost, and the friendly service we received. We knew we’d find good food at American Smoke Wagon BBQ. A Brisket Sandwich at American Smoke Wagon BBQ in Watford City is large and satisfying. The smoke taste is perfection! This sandwich was huge! More than I could consume in one sitting, it became two meals. Two very tasty meals! Hunger Satisfied and Real Sweet Tea! We were more than a bit hungry. We were ‘starving’, in the figurative sense, of course. It was easy to zero in on our choices of sandwiches and accompaniments at this place. We decided on a repeat performance, that is pulled pork and smoked brisket, as we had eaten and liked so much at our reception. The ordering process at American Smoke Wagon BBQ is fast and straight forward. Proceed straight to the ordering counter, place your order choosing from a long list of items on the large menu posted in front of you, and pay. Then you’ll receive a marker with your designated order number to place on your table. Your food will be delivered to your table in short order. You’ll have a choice of seating options, tables or booths, and there are a lot of them. There are many drink options from to choose, fill your cup at the beverage stations. I was delighted to find two types of iced tea; unsweetened and REAL Sweet Tea. These people not only know how to smoke meat, they know the difference between sweetened ice tea and Sweet Tea! Nice! Upon ordering you’ll choose your drink and condiments, including their signature BBQ sauce already dispensed into serving sized containers. American Smoke Wagon BBQ features both booths and tables. The booths are of ample size to accommodate anyone. They are comfortable! Oh, That Sauce! And Help Yourself. One of the food items I appreciate about American Smoke Wagon BBQ in Watford City is the barbecue sauce. I love the taste! Just beyond the drink selection, you’ll find it already dispensed into serving sized containers, categorized by levels of ‘heat’. Try them all! I also appreciate the set up at the drink and condiment counter. It includes to-go boxes, lids for the cups, and anything you might need to make your meal (or what’s left of your meal….the portions are large) ready to take out. I like not having to wait for staff to bring such items. American Smoke Wagon BBQ is a great place to eat for working people and families alike. We found what we wanted! American Smoke Wagon BBQ suited our needs perfectly! The service was fast. The food was good; it was better than good! The surroundings were cool and restful. We didn’t feel out of place because of our attire or appearance. In fact, this eatery caters to working people and families. Once again, American Smoke Wagon BBQ in Watford City was a very good choice. As we cooled and rehydrated and refueled from our hike, we reflected on our last experience with this fine establishment. Our times and experiences at American Smoke Wagon BBQ in Watford City are quite special! Join in on the excitement and challenges of our wedding day in the North Unit of Theodore Roosevelt National Park. Click here: The Buffalo Are Coming! Explore the dramatic vistas of our first Summit Campground experience by clicking here: Is That Another Devils Pass? Immerse yourself ! View our escapades on YouTube here: Take me to the Badlands! 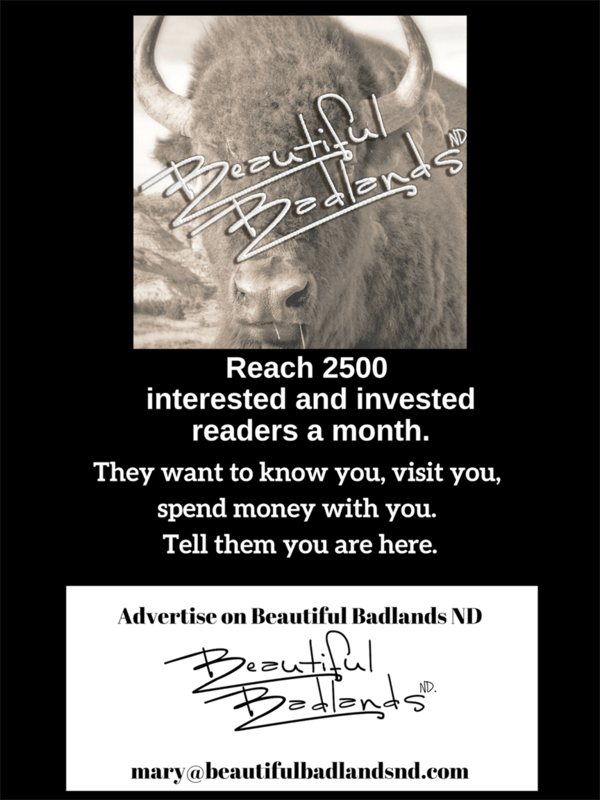 Stay up to date with our adventures, discover the beauty of western North Dakota and eastern Montana by subscribing to our emails. Check the upper right corner of this page.